The vampires’ journey – From Byron to Bella – Has vampire fiction lost its teeth? Note: This is the first part of a serialised article which will be developed over future posts. 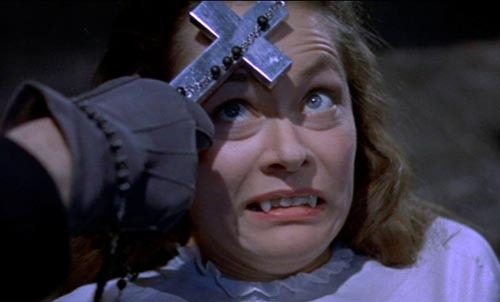 Exploring Hammer Horror … Ouch! A few years ago I began to wonder where certain trends in current vampire fiction originate. Specifically I was curious about the plot that goes — girl meets boy, he is a bit pale and moody, he turns out to be a bit older and oh yeah a bloodsucking fiend (but a nice one). My curiosity took me to the 18th century, Byron, some pretty dodgy Hammer Horror films and a newfound interest in the interior decorating tastes of the undead. This is a blog for fans of vampire fiction who are interested in engaging in critical discussion. I’ll be exploring contemporary vampire fiction – but also looking back at some of the influential books and films of the last two hundred years and attempting to uncover the roots of some of the current trends and popularity of all this vampire material.